Edit: I've noticed raygadas on Reddit has turned this into a screensaver. Download: [link] Credit for that goes to him obviously. Wrong link, here is [link] i'm so stupid! i used your animation in a video, i hope you not are upset for it, but Derpy is so adorable!, i credit you in the description of course. Im using this, ok? For a series I'm making called Derpy and Double W.
How to make screen saver??! 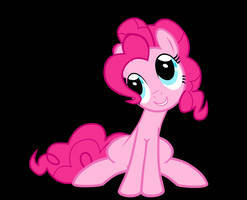 HOW DO YOU MAKE PONIES ANIMATION!? ITS VERY HARD!!! Brilliant. I have now completely ponified my computer. You don't have Ponified Icons. You still have a small ways to go. hmm, thats not my job to include. someone else makes those. 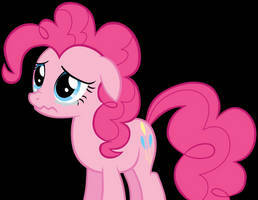 but if you are looking for them check out Equestria digital. My jaw actually dropped when I saw that. I didn't know it was possible to have an image on the start menu. only when i make it, what os are you using? 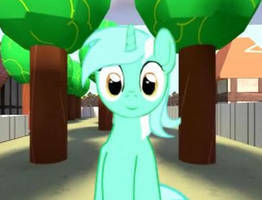 I dunno if ANYPONY noticed, but... the edited scene sounds... AWFUL. Sorta. It's kinda like 4KidsTV in a way. For example, sometimes Rainbow's voice sounds... stuffy. As was Derpy's as well when she said "Nice work, RainbowDash!" And after she broke the column, and it started to fall before Rainbow tried to hold it up, Derpy's eyes DERPED! Here, you can watch the video here to get a better perspective: [link] Hope you'll like it. How do you make a screen saver? I don't know, sorry. I didn't make the screensavers of it. 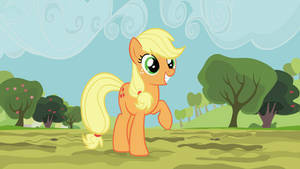 Norton says that "Derpy Hooves.exe"<--- the file you download at the link, has a virus. Very likely it's just a false positive, it's not all that uncommon. I tested it myself before linking it and it worked as intended, and I haven't received complaints from anyone else. I could watch her do this all day but, I have things to do derpy, be a good girl. Jumping on a Cloud... LIKE A BOSS!!! Would it be possible to get a GIF file out of that without having to take many ScreenShots? It should be posibble to do with just two commands. You can use Gnash to export all frames and then imagemagick to join them into a GIF. Okay. But I don't have any of them, and they're probably expensive too, right? I put this on loop and Derpy is endlessly hopping on that cloud... kinda feels complete for me. Full credits with links back to your DA page are included in-game, thanks for allowing use of it! I was going to make a mac screensaver of it but Apple decided take away xcode for snow leopard. Finding a mirror has not been easy. So yeah, need a mac version of the screensaver. 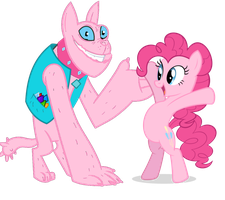 I got my hooves on xcode and can make a screensaver for mac... if I could convert the darn SWF file to a high quality movie file. Unfortunately the two apps I found for it that work give leave watermarks. Phooey. I'll take another crack at converting the file tomorrow. Just one conversion away from a mac screen saver. I would give anything to be that cloud. Awesome job! Looks pretty good, but you have a bit of an animation glitch on the way to the apex of the jump. Her front-right leg has a little bit of a pop, and the background wing overlaps it's shillouette, which also contributes to it. My advice is to add a few more frames to it, give her a bit more hang time, and have the forelegs come up a frame or two later. That should clear up the visual confusion. But seriously, I'm completely useless at flash, and this looks REALLY solid. It's 80% there, you just need to make it... cooler. I agree with what this dude says. Also, can someone make a mac screensaver out of it? Music to go with it. It's so amazingly well done. The cloud could have more motion though.